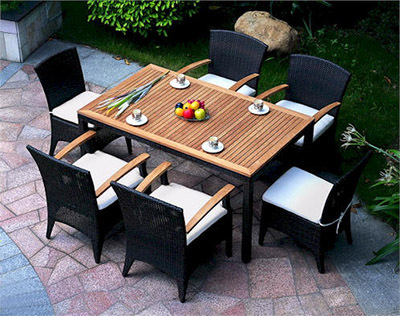 Product categories of Patio Dining Set, we are specialized manufacturers from China, Patio Dining Set, Rattan Dining Set suppliers/factory, wholesale high-quality products of Garden Dining Set R & D and manufacturing, we have the perfect after-sales service and technical support. Look forward to your cooperation! Patios and decks are perfect outdoor gathering areas. 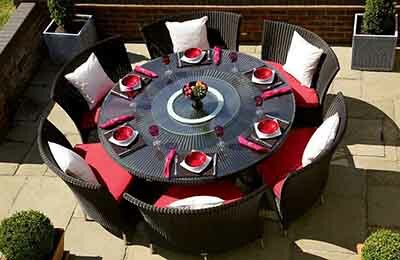 If you enjoy entertaining, why not treat your guests to an alfresco dining experience? A patio dining set allows guests to pull up a seat and enjoy savory treats and rich desserts. Whether you cook or cater, your friends and family are sure to relish the feel of a cool breeze and the warm sun as they enjoy this outdoor dining experience. 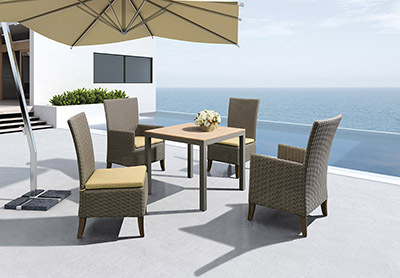 Patio dining set has many options. 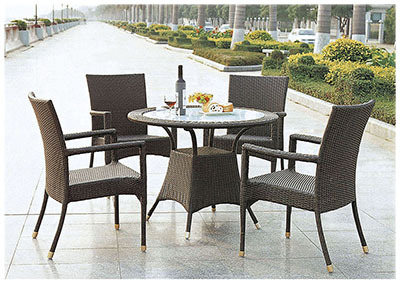 Round table, Square table, Armchair, armless chair, You can be free collocation by yourself.